Moscow is a big city, everyone is in a hurry, they work hard and do not have time to eat. 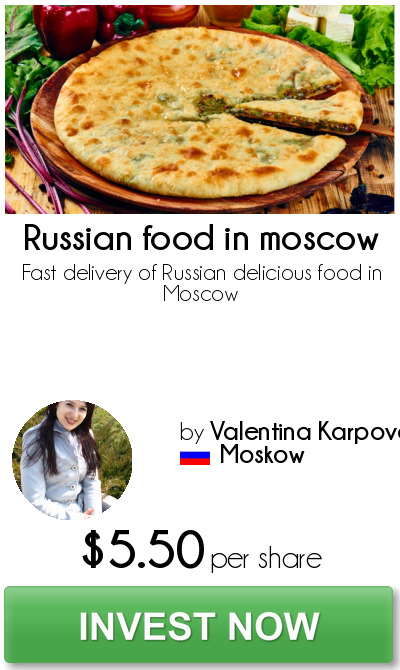 Therefore, we prepare delicious Russian and Ossetian food and deliver it to people in the office. It is very beneficial for everyone. Our plans for the coming year: invite more workers to fulfill more orders and receive more money. The number of Moscow residents increases every day, so we will always be with customers. We have a rotation from different countries, there is enough work for everyone. We want to help people in the crisis, give them work and we will work with them.